Mostly due to rising medical expenses and improved treatment methods, the average animal attack claim value has increased 94 percent since 2003. Typically, when animals attack, they cause a variety of injuries. The knockdown often causes head injuries and severe broken bones. When dogs bite, they tear and slash at flesh, causing incredibly serious traumatic injuries. Moreover, their teeth often puncture internal organs, causing dangerous internal bleeding. That’s only the beginning. Many animal attack victims suffer from Post Traumatic Stress Disorder. PTSD is a permanent brain injury. There is no cure, but it is possible to alleviate the symptoms. Generally, it takes extensive therapy to do that. These animal bite injury victims may be entitled to substantial compensation, and there are basically four ways to get it. However, note that Section 767.04 only applies to dog bite injuries. As mentioned, the knockdown might cause more injuries than the bite. That’s especially true if the dog is a large mastiff breed animal, like a Doberman pinscher, and the victim is a small child. Furthermore, in the case of PTSD and other intangible injuries, it’s often difficult to separate bite from non-bite causes. Additionally, the strict liability law contains a number of other loopholes and defenses which insurance company lawyers can exploit. Nevertheless, in the right circumstances, the strict liability law is a powerful tool. In these cases, victims do not have to establish fault or negligence. They must only establish causation. Essentially, negligence is a lack of ordinary care. Typically, the ordinary care standard is the “reasonable person” standard. For example, if a Sunday School teacher allows children to play with a strange dog, that teacher was probably negligent. Negligence cases have five prongs: duty, breach, cause, proximate cause (foreseeability), and damages. The victim/plaintiff must establish each one by a preponderance of the evidence (more likely than not). Vicarious liability is a key benefit of negligence cases. For example, in the aforementioned Sunday School teacher example, the church might be legally responsible for damages. Prior attacks against animals or people. Florida’s version of the scienter theory is basically a modern update of a one-bite rule claim. Scienter claims apply to non-owners as well, such as doggy day care centers or veterinarians. Sometimes, the law sets the standard of care. That’s the case in many dog bite claims. Most cities have very restrictive animal restraint laws, like fence requirements and leash laws. If an owner or custodian violates such a law, and that violation substantially causes injury, the tortfeasor (negligent actor) may be responsible for damages as a matter of law. In some Florida cases, negligence per se is only a presumption of negligence. The victim/plaintiff must submit additional evidence to obtain compensation. Dog bite victims have several legal options. 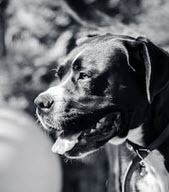 For a free consultation with an experienced dog bite injury attorney in Tampa, contact The Matassini Law Firm, P.A. Home and hospital visits are available.